At first glance, one of the most apparent changes is the larger screen on Toyoda's TOYOPUC - Touch HMI control. This upgrade provides a touch screen platform designed to appear and function just like the touch screen of a mobile device — eliminating the need for a keyboard or mouse. It keeps track of information such as machine energy usage, productivity, tool life and can be used to generate performance reports. Inspection notifications to inform of preventative maintenance and the capability of third party device monitoring allows for operators to access the machine remotely and keep an efficient machining process. 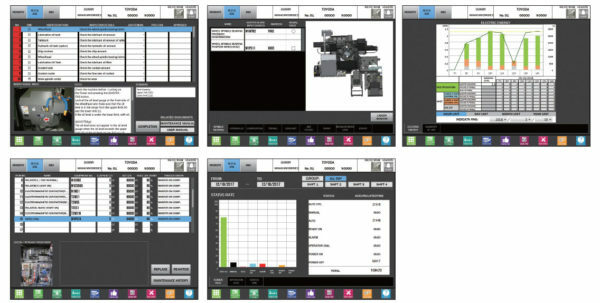 Since the Toyopuc - Touch HMI is designed to look and function like a touch screen, the system is inherently much easier to learn and navigate and with the new system, an operator has the ability to zoom in or out to see information more clearly. A larger display made it possible to consolidate information on one screen and displays the required keypad window when necessary. 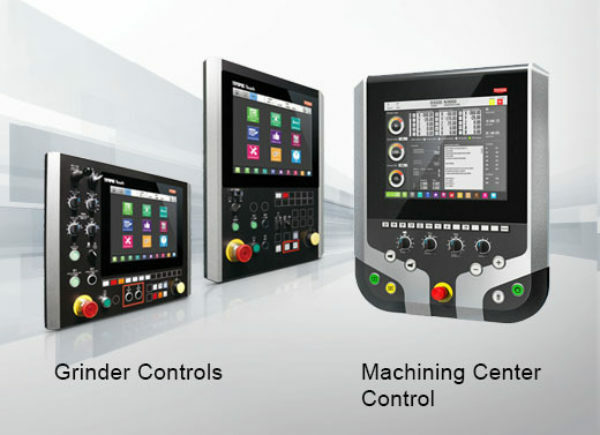 The TOYOPUC - Touch HMI assists work during setting of workpiece data. The operator can easily edit workpiece data with an instruction display. Another great feature is the ability to search throughout the program and also to copy and paste information in and out of the system. The machine manual can also be accessed on the operation screen with a keyword search function. Visualization of maintenance - This is a periodic inspection function that informs maintenance inspection times and procedures. Visualization of life - The life management function tracks the life of a part. Visualization of status - The equipment monitor function supports production improvement with graphs showing previous operation and machining results. 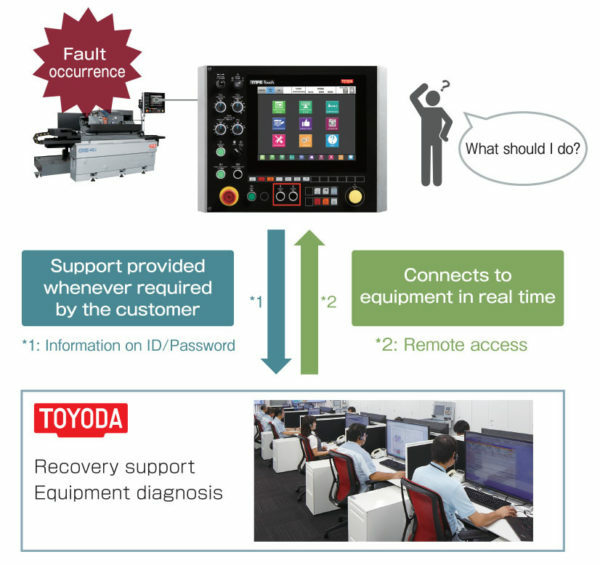 Operators can backup ladder, parameters, and other important information to send to Toyoda Support. If provided with access to the internet, Toyoda can remotely connect to the HMI and solve the problem without having to incur the time and expense of sending someone on site.